OptionGreeks is an educational tool to help users understand option pricing. Options are derivative instruments, which can be traded on stock markets / exchanges around the world. They are derivatives in that their values and contracts are derived from the “price” of some other financial instrument (including individual shares, bonds, commodities, exchange rates, interest rates etc., or indices of these). Options come in many variants, but this app focuses on European options (only exercisable at expiry). It covers Calls and Puts, from the buyers (long) and sellers (short) perspectives. The calculator will calculate the theoretical price of options, given the users choice of the relevant parameters which include the spot price of the underlying instrument, the strike price of the option, the risk-free interest rate (discount rate), the volatility of the underlying spot price, the yield of the underlying instrument, and the term to maturity (or expiry) of the option. It will also calculate the values of the “Greeks”, which includes delta, gamma, theta, rho, vega, and epsilon. It also displays all of these in charts against each of the underlying parameters. Finally, it also includes many different option strategies (a combination of one or more options, as well as the underlying asset), so that you can see the payoff profile, profit and the greeks for these combinations. 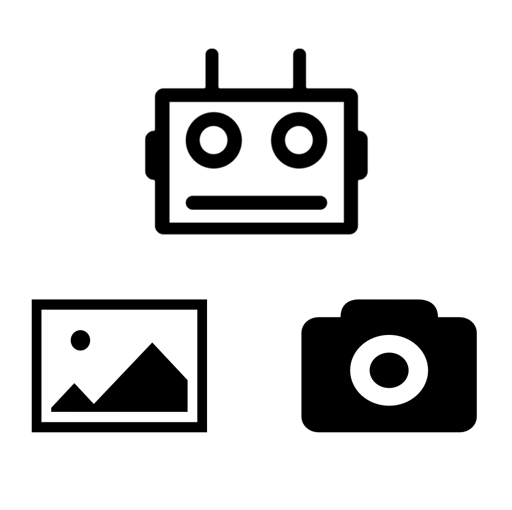 MLFotoFun uses state of the art Machine Learning models that use Convolutional Neural Networks (CNNs) to classify photos taken with your camera or from your library using one of eight state of the art models. The classification includes the two most probable descriptive labels, as well as the probability associated with each label. The eight models include: AgeNet (that classifies the age of the human subject); GenderNet (that classifies the gender of the subject); CNN Emotions (that classifies the emotion of the person); VisualSentiment (that classifies the human subject’s sentiment as positive or negative); Food101 (that classifies the food), Oxford102 (that classifies flowers); CarRecognition (that classifies the make of car); and GoogLeNetPlaces (that classifies the category of place in the image). This app is for entertainment purposes only, and clearly demonstrates how bad such models can be, as well as the biases that they may contain, so no offence is intended with age or gender classification. It may however also surprise you in how far image recognition has come in the five years. This app calculates the probabilities of certain performance outcomes in investment management, based on some simplifying assumptions. It calculates the probability of a single manage outperforming the benchmark over various time periods (from 1 month to 20 years), given a user selected manager skill level (given by the Information Ratio). It also calculates the joint probability of none, or at least one manager, underperforming the benchmark. The user can select the skill level (equal for all the managers), the time period, and the number of managers. It also calculates the probability of a single manager outperforming the benchmark by a certain alpha target (user selected) given a user selected tracking error, under the assumption that the manager has no skill i.e. an Information Ratio of 0. It now includes probability density and mass functions, to help visualise the distributions of the outcomes i.e. the probabilities. This app is great for scholars and parents wishing to understand graphs in mathematics. While there are many graphing calculators that allow you to graph many complex functions, this one focuses on teaching simple grade 10 math graphs in a really simple and visual way. Using sliders to change the values of variables, you can see the impact the variable has on the overall equation or function, as well as other interesting things like x and y intercepts and asymptotes. You will quickly grasp just how simple graphs are by watching them change shape and move around as the value of a variable becomes larger or smaller or goes from positive to negative, or zero. Even parents will wish they had this app when they went to school, as they too will grasp just how easy and fun math is. You can also pan around the graphs and pinch to zoom in and out, and just tap the graph to reset the pan and zoom. Enjoy learning math graphs, and drop me an email if you would like me to include a couple of other graphs that you or or children are struggling with. Speedometers is a really simple and beautiful speedometer for your truck, car, motorbike, or bicycle. It uses GPS on your iPhone or iPad to establish your speed, and shows this information graphically in a simple user interface. You can change the units from miles per hour to kilometres per hour and back, and change the top speed of the speedometer reading. You can also let your speed guide what the top speed shown should be. This application is a digital scoreboard for your game of cricket darts. In cricket darts, two players compete to close the numbers from 20 to 10, and the Double, Triple and Bull (DTB) first. After scoring three hits on a number or DTB, the player opens that number or DTB for additional score until the other player closes it. The first player to close all numbers and DTB, and have the higher score, wins! It’s as simple as that. The game provides a timer for additional information purposes only, as well as a count of how many turns have been taken. Thank you for the overwhelming support! I’ve added an undo button. You can now enter the players’ names. I’ve added a button to record misses. I’ve added a button to upload your game to iCloud. You can now see all your previous games, including the time taken, the date and time of the games, the number of turns and misses for each player, as well as the address (location) of the game. All stored privately in your iCloud account where no one else can see. When last did you do, or see, or hear, or smell, or think, or feel something very specific? If you don’t recall because it has been a while, or you don’t recall because it happens so often, then this application is about to make your life a whole lot more interesting! WhenLast? is a fun yet powerful application that keeps a record of every time something important or interesting happens to you or to those you care about, or to the world around you. Whether it is something that you have done, or a way you have felt. Whether it relates to activities or it relates to your health. Whether it happens all the time, or too infrequently to remember. With one quick tap on the screen, you can record an incident for ever, and it will be accessible across all your devices as it is privately and securely stored in iCloud, where no one else can see. You can add past events, and view statistics on the frequency with which all your events occur. This could be important if the events are medical related, or simply because you are either trying to do something often (habit forming), or trying to stop doing something (breaking a bad habit). The applications are endless. To get you started, I’ve included about fifty sample questions across five categories (health, emotions, tasks, activities, and emoticons). Emoticons provide a beautifully simple representation of events of interest (see the sample screenshots). I’ve also allowed you to select your own background color for the application, so that it can match your favorite color, your mood, or your iPhone or iPad. I’ve also added an “easter egg” for you to discover! Please enjoy and drop me an email if you would like me to add specific colors, or simply tell me about other uses that you have found for the app!